Further news from a regular contributor, P.D.J. Campbell of South Winds, High Street, East Markham, Newark, Nottinghamshire NG22 0RE. Peter writes to say he appreciates the remarks about his comments from time to time and he was sorry to hear of the death of Lawrie Collins, who he had mentioned last year. Peter was surprised to learn of the demolition of the pavilion and he wonders if there will be a sports pavilion planned for the future. He says "It was most interesting to read extracts from The Briggensian of 1929 sent in by John Lee. I had been at the school since 1924 and building the new pavilion was a great event. It replaced a small shabby old hut and seemed magnificent at the time, the reward of much fund raising. The refectory was originally the sanatorium for the boarders. I was there a short time in 1924 in my first term when I caught Whooping Cough. The names in the sporting events bring back memories. John Dore lived near to me in Barton, where I moved from Elsham; John Lee himself lived in Barton, one of a family eminent there for many years." Walter C. Cash of 21 Farside Road, West Ayton, Scarborough, YO13 9LE (1927-33), wrote to say he was always pleased to see a few words from P.D.J. Campbell as he is a welcome reminder of Walter's enjoyable years at B.G.S. An e-mail has been received from Robina Cosser of Queensland, Australia, who was pleased to hear the Briggensians were developing a new website. Robina says "after Brigg Girls High School I went to Bretton Hall (1966-69) and spent a very lazy three years studying Art. In 1974 I migrated to Awstraylia as you Pommies like to call it. I completed a degree and then a Masters in Applied Linguistics at Sydney Uni. I worked with Aboriginal languages and also taught Bahasa Indonesia (studied at a uni in Central Java). It was great work travelling around remote areas like the islands of the Torres Straits. "I'm one of those oldies who left in 1948! Is there anyone in addition to Derek Bowskill and George Gunson who remembers me?" 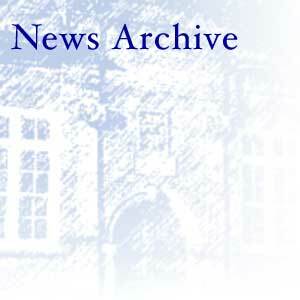 Older news is on the News Archive 1, News Archive 2 pages. Send your news to the Secretary who will pass it on to the Chairman and to Newsletter and Website editors.